Brook Trout in Yosemite. Photo by Harry Vanderburg. Stream and river fishing season in Yosemite National Park begins each spring on the last Saturday of April and continues through the year until November 15th. 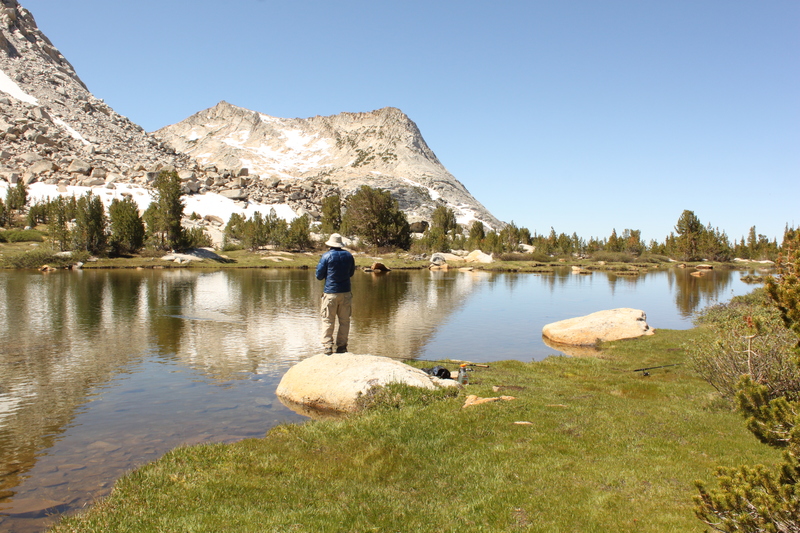 When the Tioga Road opens in the spring – allowing access to Yosemite’s high country – it’s time to catch some trout. Harry Vanderburg works at the Sport Shop in Yosemite Village – one of two outdoor gear stores in Yosemite Valley – and spends much of his free time fishing Yosemite’s rivers and lakes. 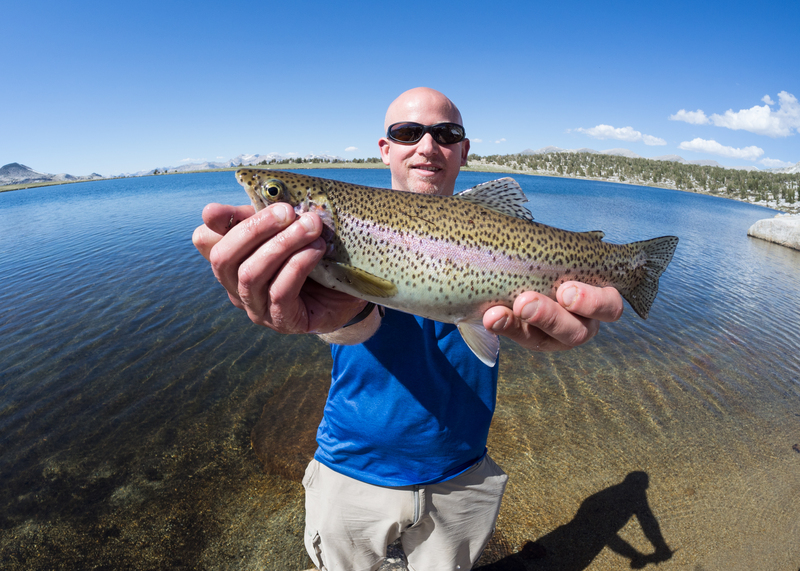 Harry’s fishing recommendations serve as a beginner’s guide to fishing in Yosemite. Harry recommends fishing the Merced River near Housekeeping Camp. With easy access to the water, you can catch brown trout here early in the season. Harry also recommends spring fishing on the Merced between Yosemite Lodge at the Falls and the Swinging Bridge picnic area. Once Yosemite Valley fills with summer visitors, it’s best to fish further downriver between Pohono Bridge and the Arch Rock Entrance on CA 140. Two beautiful spots are easily accessible from the Tioga Road: May Lake and Gaylor Lakes. A one mile hike to May Lake provides you not only with the opportunity to fish, but also some of the Sierra Nevada’s best scenery. Just inside the park boundary at the eastern entrance on Tioga Pass, a one mile hike brings you to high altitude Gaylor Lakes. 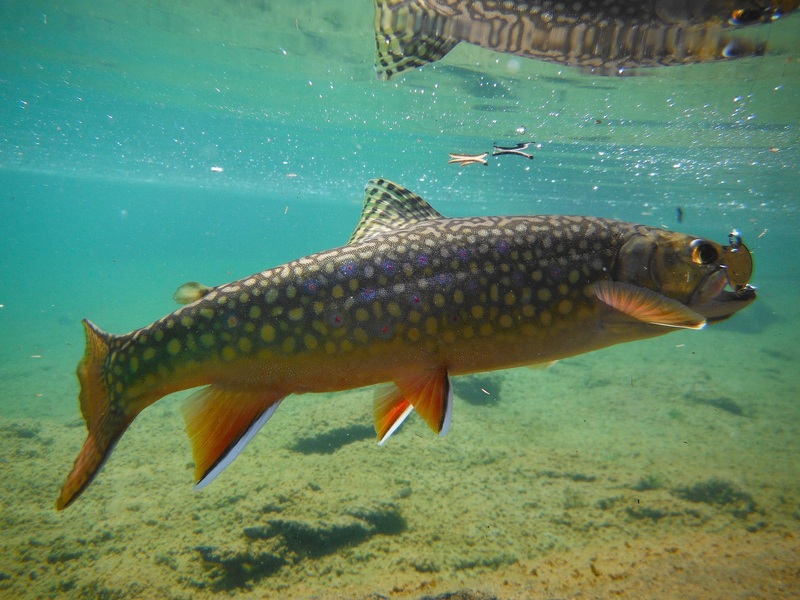 In both areas you’ll land brook trout. Fishing at Gaylor Lakes in Yosemite with the Cathedral Range in the background. Photo by Harry Vanderburg. 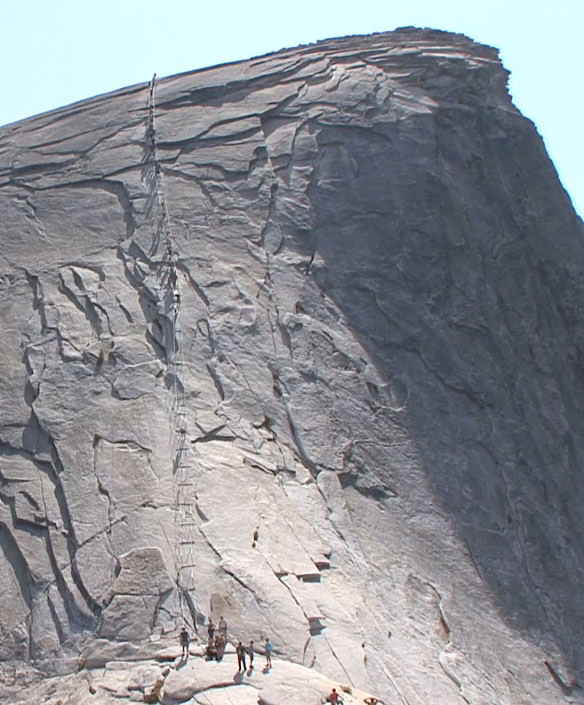 Hiking into Yosemite’s backcountry is an experience in itself, but what about catching your dinner too? Among the High Sierra Camps, you’ll find good fishing at Merced Lake, a 14 mile hike from Yosemite Valley. Closer to the Tioga Road are Young Lakes, a six mile hike to three small alpine lakes with stunning Sierra scenery. Also on the High Sierra Camp loop, you’ll find rainbow trout at Vogelsang and Fletcher Lakes, a short hike from Vogelsang High Sierra Camp. Fishing and camping supplies are available at the Sport Shop, including spin cast and fly fishing poles. Yosemite National Park has special regulations for fishing (see below) and all legal options are provided including barbless hooks. Most importantly, California fishing licenses are sold at the Sport Shop, good for fishing anywhere in the state of California. No fish or roe may be used as bait. Fishing from bridges and docks is prohibited. Mirror Lake is considered a stream and is only open during stream fishing season. 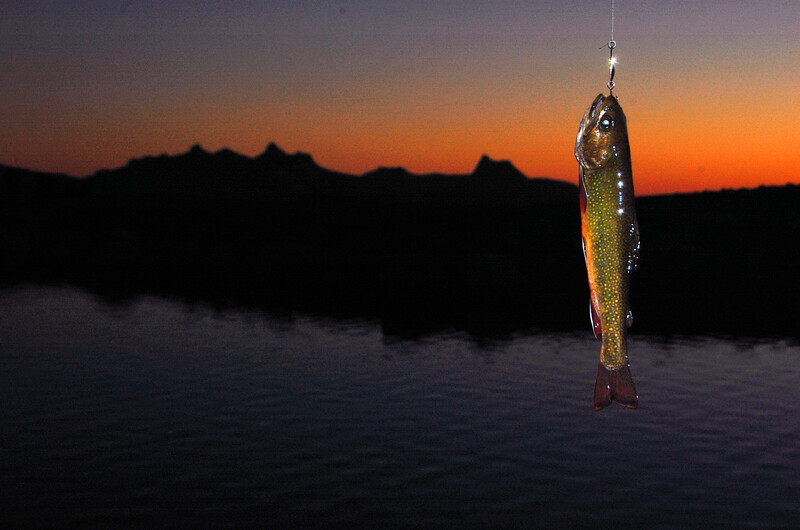 Learn more about Yosemite National Park fishing regulations before your visit.